In collaboration with the Committee on Women in the Arts, CAA seeks to offer a selection of sessions, papers, speakers, and related programming for the 2020 Conference in celebration of the Centennial of Women’s Suffrage in the US, while also acknowledging the discriminatory practices that limited voting rights for Indigenous women and women of color, even after the passage of the 19th amendment in 1920. We hope 50% of the conference’s content will be focused on women-centered research, artistic presentations, and discourse, and addresses the intersectional and transnational complexity of race, ethnicity, class, age, body size, disability, gender and sexual orientation in the arts. Reinforcing inclusivity beyond binary understandings of gender, this initiative seeks to advance a forum for increased dialogue within the context of this historical moment. The submissions portal for the 2020 CAA Annual Conference is now open with a deadline of April 30. 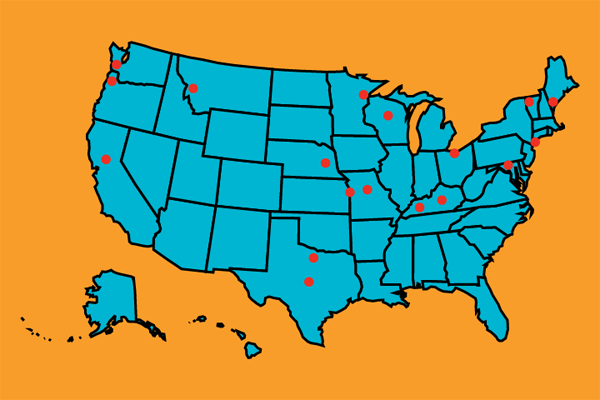 It’s been a busy month for direct advocacy at CAA! 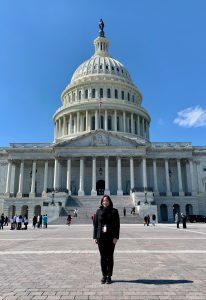 This past month, members of CAA staff attended three national advocacy convenings in Washington, DC: Museums Advocacy Day, Arts Advocacy Day, and Humanities Advocacy Day. 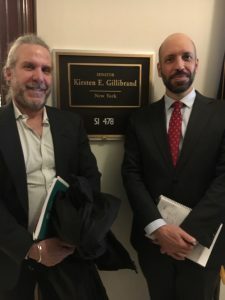 We visited congressional offices to advocate for support for the arts, humanities, and higher education, and continued funding for the NEA, NEH, and IMLS. Our asks also included the reauthorization of the Higher Education Act and support for the Universal Charitable Giving Act and the CREATE Act. See our on-the-ground updates via Twitter and Instagram. Learn more about the Advocacy Days below. Museum professionals from across the United States gather in Washington, DC, for Museums Advocacy Day. Participants attend sessions outlining key legislative issues affecting the field and meet with their representatives and senators to educate them about the mission of museums and their role in the economy, in adult and child education, and in national culture. Learn more. 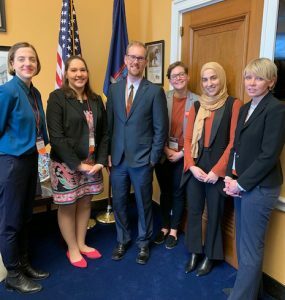 Humanities Advocacy Day provides the opportunity to connect with a growing number of humanities advocates from around the country. Together, advocates will explore approaches to year-round advocacy on college campuses and in local communities while also preparing for Capitol Hill visits. 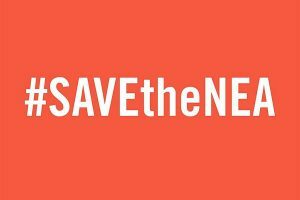 On March 12, they will visit House and Senate offices to make a persuasive case for federal funding for the humanities. Learn more. For more on CAA’s advocacy efforts, click here. In July 2018, the Cuban government issued Decree 349, legislation targeting the artistic community on the island nation. Under the decree, all artists—including collectives, musicians, and performers—will be prohibited from operating in public or private spaces without prior approval by the Ministry of Culture. It is slated to go into full effect on December 7, 2018. CAA released a statement of opposition to the decree last month. Recently, CAA media and content manager Joelle Te Paske corresponded with artist, activist, and 2016 CAA keynote speaker Tania Bruguera to learn more. 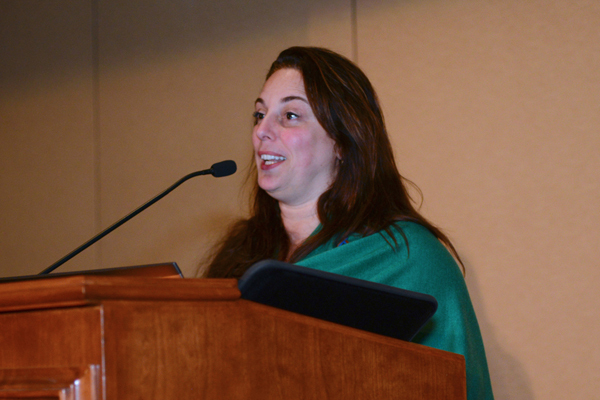 Tania Bruguera delivers the keynote address at the 2016 CAA Annual Conference in Washington, DC. Joelle Te Paske: I’ve read that Decree 349 was signed in April and then announced without any consultation on July 10 in the government’s newspaper. How did you first find out about it? Tania Bruguera: Decree 349 was signed by the new President of Cuba [Miguel Díaz-Canel] without consulting artists—something even the national newspaper had to admit in a recent article, which was ironically published to defend the decree. Also, it was not publicly known until almost six months after it was official, but that didn’t stop them from [moving to] apply it. It was used already with younger artists who participated in the alternative biennial when recording their artist ID registration, the only legal document that protects and allows someone to be an artist in Cuba. They also enforced it with us at the Instituto de artivismo Hannah Arendt (Hannah Arendt Institute of Activism), charging fines of $2,000 for not having permission from the Ministry of Culture to do what they call “artistic services” inside of my house. The last free space we had in Cuba was our homes—now with this law, they are also regulated spaces. The government is presenting this decree as an innocent regulation, but it is in fact a muzzle to artists. JTP: The decree is wide-ranging and applies to all cultural activity, not just visual art, is that right? TB: Yes, they are cutting all the heads. There is a strong independent cinema movement, an alternative music scene, DIY theater, and new independent art galleries—they are all going to be gone. The government is presenting this decree as an innocent regulation, but it is in fact a muzzle to artists. We know that those permissions are not based on anything but ideological considerations, and it will be used as a blackmailing instrument. Also, it gives the government the right to decide who is and who is not an artist, what is and what is not art. 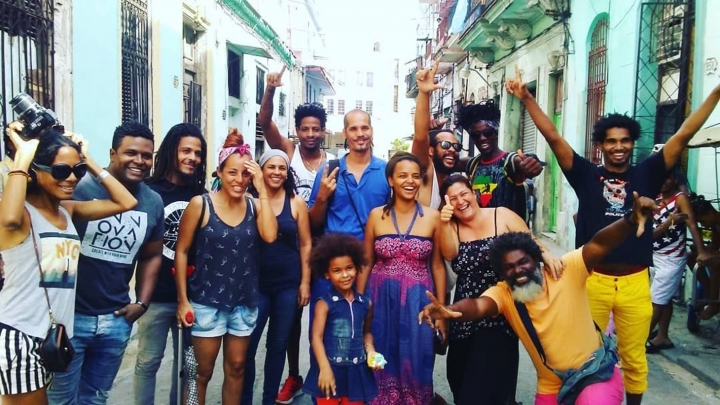 JTP: Luis Manuel Otero Alcántara, Amaury Pacheco, Iris Ruiz, Soandry Del Rio, and José Ernesto Alonso—artists who organized a protest performance on July 21—were arrested by Cuban police officials and charged with public disorder. Are tactics like this being used to intimidate artists who are speaking out? TB: When you are protesting, when you get detained, you have already overcome your fears. In my experience, those repressive acts from the government consolidate your ideas. Confronting injustice unifies the group and makes people even more committed to fight. These detentions are designed to discourage by suggesting that your actions won’t change anything. They try to back you away from doing bigger collective demonstrations. Their absurd repression and disproportionate reaction to any small action shows how they are proving themselves wrong. But the real goal of all these engineered scare tactics is to intimidate those who are not protesting. JTP: The decree specifically targets independent artists working without larger financial support structures. How do you think this will affect cultural life in Cuba? TB: It is not a matter of finances at least for now—[the government] may use the same tactic of fake tax evasion charges that the Chinese government has used later on. Decree 349 also affects independent cinema which, comparatively, works with a larger budget. It is a matter of stopping artists from imagining, producing, and showing art independently. It is about the Ministry of Culture looking obsolete because it cannot control its artists, and so the law is intervening. JTP: Amnesty International has written: “The lack of precision in the wording of the decree opens the door for its arbitrary application to further crackdown on dissent and critical voices in a country where artists have been harassed and detained for decades.” Would you agree with their assessment? TB: Absolutely. This is the real goal of Decree 349—it even says that the artworks must follow ethical and revolutionary principles, but those are not described anywhere in the text nor linked to any other document to be consulted. In case you want to do your art “within the law,” there are no guidelines. “You should know better” and “Be submissive and compliant to the government’s needs of the moment” seem to be the subliminal messages. What the artists who now have the favor of the government do not see is that the permissive line always moves. Today they are within the law, tomorrow they may be outside of the law. Everyone is a potential dissident in the eyes of the Cuban government—they do not trust anyone, and less so artists. JTP: CAA recently put out a statement of support for the artists and activists opposed to Decree 349. What advice would you give CAA members who want to help? TB: I want to thank CAA for its support of our cause. It makes an immense difference because the Cuban government makes a lot of its internal decisions based on how they make them look internationally. Our only protection comes from organizations and people in the world who recognize our experiences beyond all the official propaganda. It is important that people, especially those who identify as leftists and progressives, realize that Cuba today is not the one from the 1960s, where it was full of humanistic promise. Now we have a Cuba where the law is not to establish justice, but to measure the loyalty to the government. The “Cuban legal turn,” as I call it, is an effort of the government to look “respectable” while abusing its power. They have found the perfect tool, one that is universally understood: the outlaws. No more conversations about politics or sympathies for you—now you are a common criminal. The Cuban government doesn’t recognize political prisoners. You are accused of some common crime instead of the real one, which is political. This makes it murky for people to understand what is happening and to be able to show solidarity. The conversation will shift from political rights to if anyone has ever seen the person in question taking drugs, stealing, molesting someone, or making a public scandal. Doubt then takes over your judgement [as the onlooker], and you may think twice before supporting a freedom fighter because you feel uncomfortable about the issues they are falsely accused of. That’s all the Cuban government needs from you, the ones outside of Cuba, the ones who can put pressure on them. That is why no dissident, and now no artist, will be ever accused of political motivation but rather for criminal offenses. 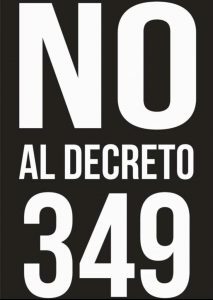 What people need to know is that Decree 349 is not a law, but a way to stop the growing unified artistic movement for freedom of expression in Cuba. They need to understand that the law in Cuba is selectively applied to those uncomfortable to the government. It is a matter of stopping artists from imagining, producing, and showing art independently. In these times, when totalitarian efforts are shamelessly growing around the world—specifically in the United States with Trump—we cannot get tired in front of injustice. We can’t forgive any injustice, no matter how small, because the next one is built on top off it. JTP: Thank you. And to let our readers know, what are the projects you yourself are working on currently? TB: I’ve been working on the Turbine Hall commission at the Tate Modern, which will be on view until February 24th, and on some new artworks to be shown in India, Italy, the UK, Sweden, and Mexico. I also just launched a new series of works focused on Trump and will soon do some new performances against Decree 349. JTP: Anything else you would like people to know? TB: Cuban artists are leading the fight for freedom of expression and we are not going to stop.You can support us by joining our petition to abolish Decree 349. Click here to sign. In July 2018, the Cuban government issued Decree 349, aimed at the artists’ community on the island nation. The decree is slated to go into effect on December 1, 2018. The law will criminalize independent artists who do not have authorization from the Ministry of Culture, and it will empower a new cadre of state agents to shut down events, confiscate artists’ equipment and property, impose heavy fines, and make arrests. Cuban artists were not consulted in the development of the decree and will have no recourse to independent arbiters in the event of a dispute. In particular this legislation will affect artists who are black and poor, as well as independent artists. CAA supports the work of Cuban artists and activists inside and outside of Cuba in their campaign to urge the Cuban government to reconsider the law and agree to a public debate with the artistic community. We support the artists’ Open Letter urging the Cuban government to refrain from imposing these harsh restrictions on its artists. What Should I Do with My PhD? 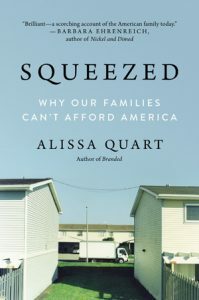 In her new book, Squeezed: Why Our Families Can’t Afford America, author Alissa Quart states what many of us know: People are being squeezed from the middle class at a far greater pace. 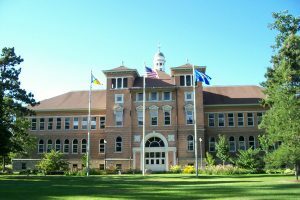 This is a situation that has vexed many CAA members, whether they are recent graduates or those who have seen their livelihoods derailed through the elimination of tenured teaching positions or departmental reorganization. Faced with a reduction in the number of faculty positions over the last decade, we’ve heard many job suggestions for artists or those with a PhD. Some have suggested teaching abroad, non-profit, foundation or governmental work. There are also opportunities in publishing, museums, literary agencies, libraries, special collections or archives. We want to hear from you. Have you seen others in the field find fulfilling work in areas outside of academia? What job-hunting suggestions do you have for those with advanced education outside of the typical areas? Post your comments on the Google document below. In light of today’s Supreme Court ruling upholding President Trump’s travel ban, we are reposting our Statement from February 2017 here in its entirety. Our values have not changed. As we stated when we joined two amicus briefs in May 2017, speaking out against this decision is inherent to our advocacy efforts and our international reach at CAA. The travel ban impacts the international attendees of our Annual Conference, it impinges on the flow of information and discussion between colleagues, and it harms the practice of research more broadly. See the statement below. CAA, the largest professional group for artists and art historians in the United States, strongly condemns and expresses its grave concern about the recent presidential executive order aimed at limiting the movement of members of CAA and the broader community of arts professionals who fall under the selective set of criteria for national status or ethnic affiliation. CAA has counted international scholars and artists among its members for many years. Committed to the common purpose of understanding the visual arts in all its forms, professionals throughout the world have enriched CAA’s community by adding diverse perspectives to the study, making, and teaching of art. With funding in recent years from the Getty Foundation to support travel and programs for scholars and curators from Africa, Latin America, Russia and Eastern Europe, and Asia, the association now includes members from seventy countries. More than ten percent of our individual members are international. CAA has counted international scholars and artists among its members since the earliest years of its existence. The roots of CAA’s present-day international program stemmed from a desire to assist European refugees in the 1930s to support personal safety as well as academic and artistic freedom. During that decade, CAA had a “foreign membership” category; as art historians fled Hitler’s Europe, CAA ran a lecture bureau for refugee scholars that created speaking engagements for them at institutions throughout the United States. The recently announced ban on travel to the United States for residents of seven predominantly Muslim countries not only goes against the inclusive, secular underpinnings of American democracy, it stifles the open access to scholarship and art upon which our work is founded. The executive order goes against our professional and scholarly commitment to diversity, the global exchange of ideas, and the respect for difference. The contribution of immigrants, foreign nationals, and people of all cultural backgrounds greatly strengthens our intellectual and creative world. Further, we believe the executive order law challenges the values at the heart of the US Constitution’s protections on speech and association as well as our national commitment to democratic process for all. Turning our backs on refugees and closing our borders selectively stifles creative and intellectual work in addition to its very real impact on peoples’ daily lives. We call on our public officials to thwart this attempt to seemingly preserve our own safety at the expense of those who are vulnerable and who also contribute so much. Without question, CAA welcomes all members and non-members to our upcoming Annual Conference to discuss and debate what constitutes a thriving artistic and intellectual society. Such openness is essential to our mission. We are committed through dialogue and action to help any CAA members who are affected by this policy. To this end, the association and the Board of Directors will continue to monitor and respond to policies related to this order as well as pressure for its immediate repeal. See the original statement posted February 2017. See CAA Amicus Brief on Trump’s Travel Ban, May 2017.